Let Us Help You Cut It Out! After nearly 33 years in the business, Stone Age Industries has become the premier dealer for lapidary equipment, providing rockhounds with only the most cutting-edge products for their craft. When working carefully with semi-precious gemstones, it is important to use strong equipment that both perceives your material sensitively, and works well with various types of rock and slab. That’s where Stone Age Industries comes in. Proudly residing as a family-owned business, we offer an array of products, which we provide to you from our selection of manufacturing partners, including Covington Engineering, Thumler’s Tumblers, MK Diamond Products, and Diamond Pacific Tool Corporation. Since 1985, our company has grown into a valuable source of knowledge for those in the lapidary industry. In addition to the books we mentioned before, we also offers tips on crafting and cabbing the rough rocks and slabs we have for sale. Every day, we happily teach our customers which rocks are ideal for particular situations, how to best use the rocks without damaging them, and how to get the perfect end result. That way, your purchase will be money and time well-spent. For any inquiries regarding how to set up your personal shop viewing, please contact Stone Age Industries directly today. If you have any questions or concerns, we’re only a phone call away, and will try our best to accommodate your needs. 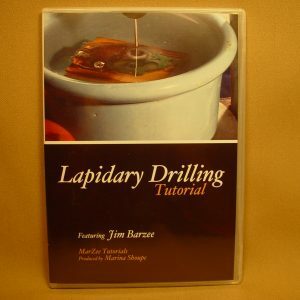 For more information regarding our lapidary equipment, just let us know and we’d be more than happy to provide you with tips, gift certificates, and guidance on your rockhound innovations. If, for any reason, we are unable to help you, Stone Age Industries further has a slew of associates that we will proudly guide you on our behalf. Our online shop gives you the chance to check out any available Stone Age Industries product from right at home. Since the vast majority of our business is done online, this gives us the opportunity to ship products with utmost efficiency and at the moment your order is placed. If you’ve got some time to spare, we also open our shop exclusively to potential customers by appointment only. Give us a call and we’ll be more than happy to set up a convenient time for you to view our expansive workshop. 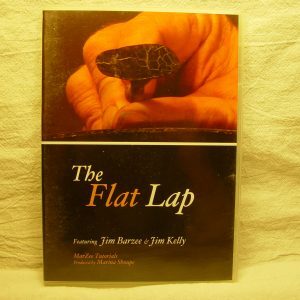 If you are a novice to cabbing or slabbing, Stone Age Industries also offers a number of books and videos related to learning lapidary or field trips. These serve as the perfect gift for anyone looking to take up this precious hobby, as they provide a patient step-by-step account of where to begin. The relieving truth about lapidary work is that it does not discriminate based upon any level of natural artistic skill. You can be anyone and still create a rockhound majesty. Simply choose from our all-natural, non-treated gemstones, such as chalcedony, agate, jasper, jade, geodes and thundereggs, and then, be on your way.